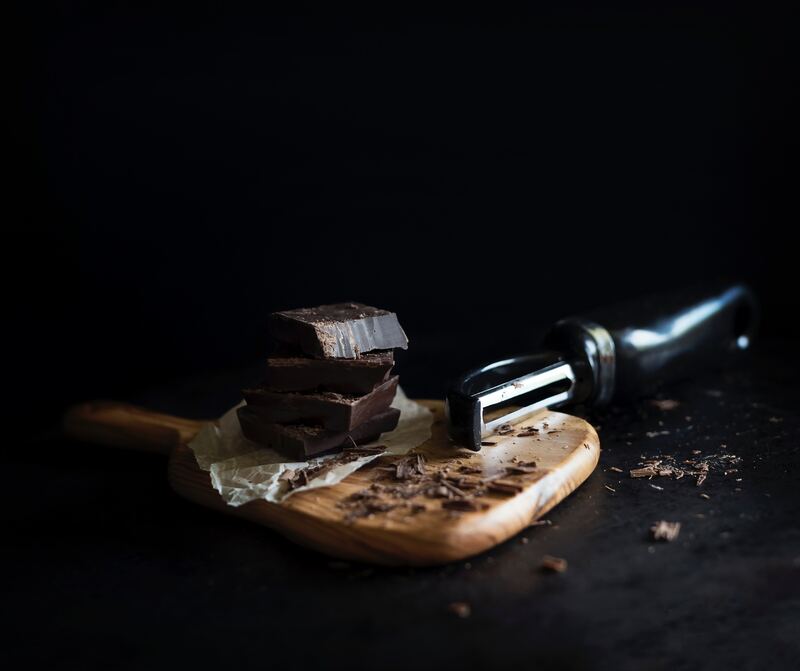 that eating chocolate releases endorphins in the brain, mimicking the feeling of love and acting as a pain reliever; that chocolate consumption reduces the risk of heart disease and cancer; that chocolate is actually good for the teeth and the perennially popular claim that chocolate is an aphrodisiac. The list goes on from there. Just how valid most of these claims are is somewhat unclear. Most studies cite research that backs up their assertion, but research is only as good as the methods that produce the results. It is certain, however, that cacao is a very complex substance, containing many different type of naturally occurring compounds, including caffeine, theobromine, polyphenols, pyrazines, tannnins, phospholipids, and so on. The list of multisyllabic chemical compounds is hundreds long. The cacao research that is creating the most excitement focuses on certain types of polyphenols, namely the flavanols that are found in cacao. Flavonols are high in antioxidants and have been shown to reduce damage due to free radicals that can lead to heart disease and cancer. The presence of milk in chocolate may inhibit the absorption of these antioxidants, so milk chocolate has negligible health qualities, and white chocolate, containing no cacao solids, has none.